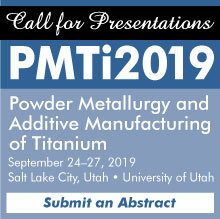 Throughout its long history, MPIF has been a champion of this innovative technology, providing our member companies with valuable services that help advance the art and science of powder metallurgy while promoting technological benefits to prospective end users. Looking for a Powder Metallurgy Fabricator or Supplier? We've made it easy for you to find what you're looking for when it comes to the fabrication of parts produced through PM processes, as well as metal powders, process equipment, and services for the PM industry. MPIF's newest resource for the PM industry, the Digital Library offers users the opportunity to download thousands of individual technical manuscripts from MPIF conference proceedings dating back to 1946. Visit the Digital Library. Explore this free interactive database, which provides material property information to help you make an informed choice about using PM materials. Visit the Global PM Property Database. This online reference is for education and/or comparison purposes to aid parts manufacturers and the end-user community in the interpretation of PM microstructures. Visit the Guide to PM Microstructures. Powder metallurgy is a metal-forming process performed by heating compacted metal powders to just below their melting points. The technology encompasses multiple processes including conventional powder metallurgy (also known as press-and-sinter), metal injection molding, isostatic pressing, metal additive manufacturing (also known as metal 3D printing), and powder forging.